It has definitely been a few weeks since my last blog post. Nearly four weeks! Someone decided he didn’t quite want to wait until his due date. And came into the world early and a bit quietly on Easter Sunday. Quiet enough where I wanted to climb off the OR table during my C-section to see why he wasn’t crying. 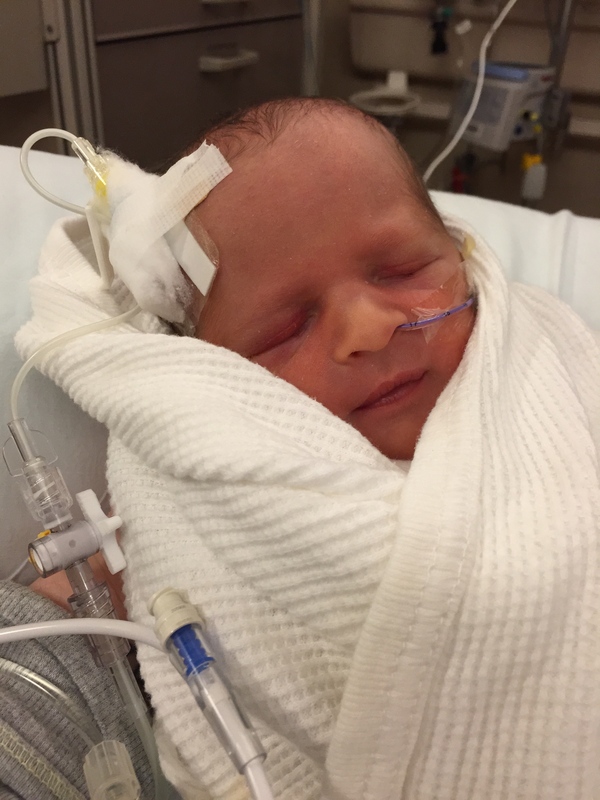 Elijah has spent the first few weeks of his life in the NICU here in South Dakota. He makes strides every day. We learned quickly that for every good day we have had that there are bad days that set you way back. And those bad days are pretty scary…I won’t lie. However, this week so far has been a really, really good week. I want to share our whole story soon…but I also wanted to share where I have been and how blessed we are feeling these days. Because that is exactly what our days are right now. Blessings. Congrats! Welcome to the world, little guy~! Will be saying prayers that he continues to grow and be strong and healthy and that you can all be home together soon!